Ask questions or share your thoughts on this project with others in the frogs.org.au Community. Get news from frogs.org.au with our mailing lists - you'll hear about upcoming events and changes to the website and much more. Manage your account to receive only the news that you want. This website is part of the ARC group of sites at frogs.org.au. 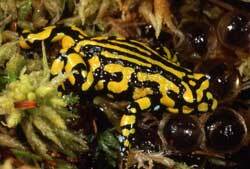 The ARC was established as a centre dedicated to research and conservation of Australia's unique frogs. The ARC is self funding and provides for its valuable work through sales and sponsorships. We supply pet frogs and tadpoles bred at the ARC, as well as enclosures, food, information, materials, and resources that are needed by those wanting to keep pet frogs. We also stock frog books, tapes, posters, and other frog-related items. Our school visits and the supply of tadpoles for classrooms assist our work at the same time as educating and encouraging responsible attitudes towards wildlife. The Centre is also involved in efforts to breed and preserve a number of Australia's most endangered frogs, and is a base for the operations of the Victorian Frog Group. With the move to the vastly bigger and better Amphibian Research Centre in Werribee, a "school visit" can now mean a visit by your school to the ARC rather than the other way around. Have a look at the educational tours section for full details. Our tadpole kits allow you to turn your classroom your very own amphibian research centre. These kits are available on their own or as an extension of some of the educational tours operated by the ARC. About 20 species of common frogs are bred at the ARC for sale as pets, either as tadpoles or as frogs. Availability is seasonal and at any time there are usually about 8-10 species available. A comprehensive range of care and housing information is available for each species bred at the ARC with your purchase. Further details are available in the keeping frogs and care sheets sections. The ARC operates an online and mail-order insect service to allow trouble free access to essential frog food. No need to drive miles to a pet store or spend hours chasing bugs in the garden. A range of different insects, supplements, and advice are also available to ensure your frog receives the most appropriate diet. You can order and pay for your insects via the internet at The ARCade, the frogs.org.au online store. Who better to design and build your frog enclosure than Australia's leading experts on frog housing? Enclosures created by our staff are exhibited in zoos, museums, and lounge rooms all over Victoria. From advice and design to modification of your old fish tank or construction of purpose-built frog homes, our expertise is second to none. This site is maintained by the Amphibian Research Centre. Contact the ARC for information. Material on this site remains the property of the Amphibian Research Centre or the original copyright holders. It must not be reproduced without permission. This website aims to conform to international standards. Pages should be viewable in and accessible to any browser. For the best experience,	we recommend: Opera > 5.0; Firefox; Mozilla; Internet Explorer > 5.0; Netscape > 6.0. Users of Netscape 4 are strongly encouraged to upgrade to a newer version as it incorrectly interprets the standards.